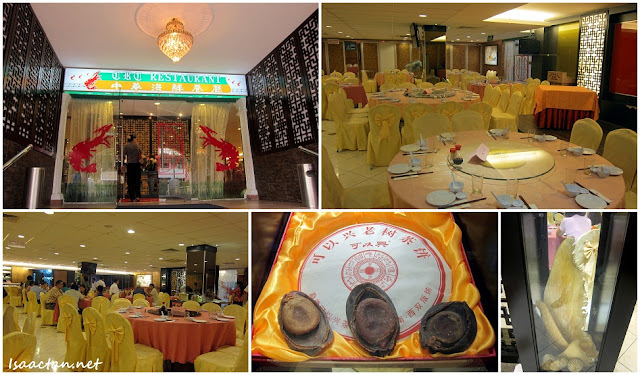 Chinese Recreation Club Restaurant or better known as CRC Restaurant in Padang Victoria, Penang is nothing new to the folks in Penang. Numerous wedding dinners, company functions, and family "makan-makan" have been held here throughout the years, In fact I've been here a couple of times in the past, and the food has always managed to please me. So there I was the other night with my parents for a nice family dinner. CRC Restaurant was my choice for the night as it has been too long since I tried the food here, also my parents like this place a lot. As there were only four of us that night, we did not order much, just enough to keep our stomachs contented and happy. 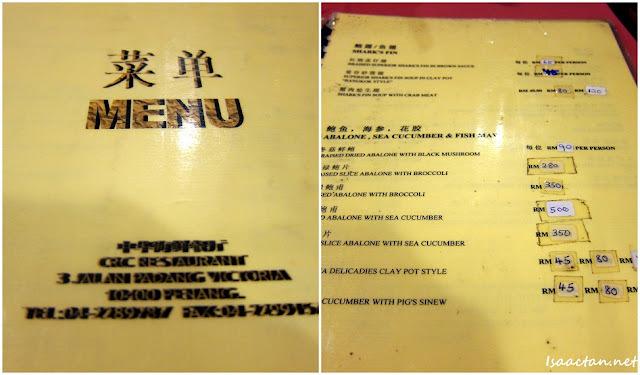 Check out below for some photos of the dishes we ordered. Now the Claypot Tofu came hot and sizzling in the pot, with a very nice aroma. Together with large chunks of japanese tofu, there were bits of mushroom, pork, and assorted vegetables thrown in which really tasted well together. The Stir Fried Kai Lan was good as well with a strong hint of salted fish. Sweet and sour fish has always been my favourite dish no matter where I dine in, and here it was no different. Initially we wanted one whole fish, fried with sweet and sour sauce, but CRC Restaurant did not have it, hence we had to settle for fish fillet instead. As for the Sweet and Sour Pork Spare Ribs, I ordered it after doing a search up the internet on what is good here, and CRC's Pork Spare Ribs was recommended. It wasn't bad, just a tad too sour for my liking. We ended the night with some nice sweet cold dessert of Honey Dew with Sago. It came in a big bowl enough to serve up to 6 people, with lots of froth because of the freshly prepared honey dew. I requested the sugar syrup to be separated so we could actually adjust the sweetness of our dessert as we wish. My parents, Janice and I getting a group shot before our dishes were served. CRC Restaurant does live up to its reputation of serving some of the nicer chinese cuisines in Penang Island. Most families come here for their abalone though, which goes for RM90 per serving. If you do come Penang, do drop by CRC Restaurant for some really nice chinese cuisine good for the whole family. wah.. I'm not Penang Island guys.. I dunno here ler..
Oh now they have this nice restaurant already. Those days will go behind CRC for the Mee Sultan haha. Nice food ho ho ho chiak. can see the claypot tahu is really ho chiak. love the clay pot tofu..